Bicycle! Bicycle! : Hello, I Love You - Won't You Tell Me Your Name? Waiting patiently near the supermarket checkouts in Ulverstone, this cream coloured Trek Allant WSD sporting the same Bontrager front basket as my Pashley, only attached to a front carrier rather than handlebar mounted. Presenting: The least offensive bicycle ever created by humans. And a plastic bag recycling bin. According to the Trek website, the Allant WSD has an abundance of 21 gears and includes the front carrier and reflective tyres. At an RRP of $599 that's a lot of gears for your dollar! It's categorised as an 'Urban Utility Bike' on the site and the copy proclaims it a reliable commuter. To me it seems like a nice blend, though I'd probably put a back rack on it to maximise carrying capacity. As Trek and Bontrager are one and the same, it would be easy to get a rack and basket for the rear - Bontrager rear racks/baskets have a special mounting specific to the brand which is why I could not put a Bontrager on the back of my Pashley. The seat looks quite cushy in person, as thick as a cruiser saddle but shaped more like a road style. Every time I see this bicycle I think to myself, 'That's a nice looking bicycle, I wonder what it is?' before realising it's the same Trek I've seen a hundred times before. I must conclude that unless deliberately personalised, the Trek Allant is pretty but not especially memorable. This makes it a great option for those who want to get around comfortably and in some style without drawing attention to themselves. 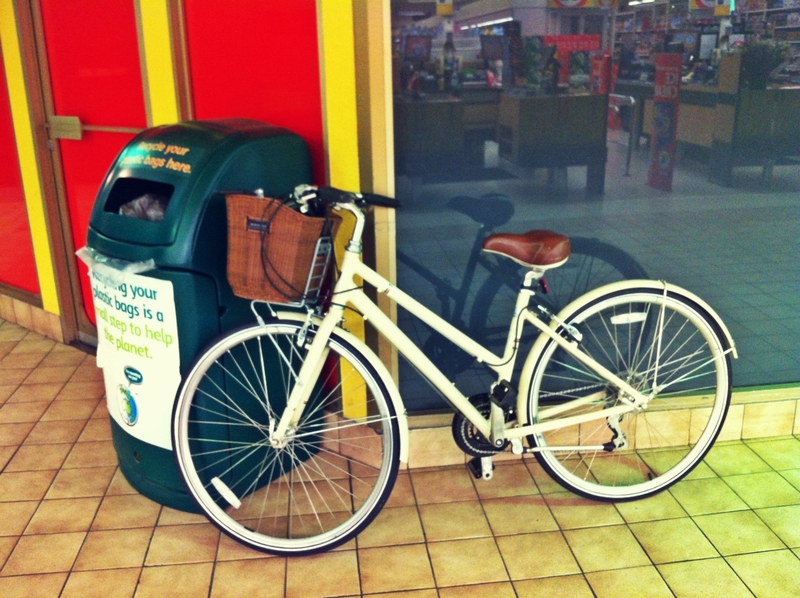 It's the bicycle equivalent of a white hatchback car: Sensible and anonymous.